Ask any pitcher what injury they want to avoid more between and elbow or a shoulder and undoubtedly the latter would win by a landslide. It has pretty much been proven over the years that shoulder trouble does so much more harm both health-wise and stuff-wise to a pitcher than does an elbow injury. There are two big issues with shoulder injuries that make them so much worse for pitchers, starting with the fact that they tend to linger and re-occur. 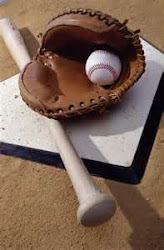 Secondly, shoulder injuries almost always take a bite out of a pitcher’s stuff. Often mileage is lost on the fastball and there can become less bite on offspeed stuff as a result of trouble in the shoulder. Look no further than recent examples such as Matt Cain, Josh Johnson, the late Tommy Hanson, and others as young ace-like pitchers who all flamed out quickly once they came down with shoulder trouble. While Cain is still pitching, he has never come close to his past skills. Meanwhile Johnson and Hanson both were out of baseball soon after coming down with initial shoulder trouble that continually re-appeared. That is why what took place in 2016 with Tyson Ross is so troubling. One of the most talented young power pitchers in baseball, Ross came into the 2016 season with a career 3.07 ERA and 526 strikeouts in 516.2 innings as his near 100-mph fastball was a huge handful for opposing hitters. While Ross has always struggled with control, there was a ton to like about a guy who also called Petco Park home. Well Ross’ 2016 consisted of just one April 4th start and then nothing else as an early bout of shoulder stiffness morphed into a series of setbacks that kept him out for the remainder of the season. Rehabbing from the dreaded thoracic outlet surgery, there is no telling when or in what shape stuff-wise Ross will be when he return to the Texas Rangers. If he can regain the strikeout stuff though, he can be a nice second-half asset or maybe a bit sooner.